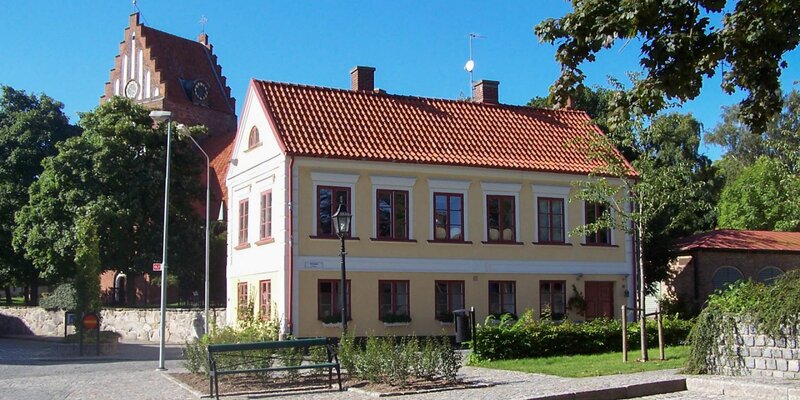 Sölvesborgs Järnvägsstation, the railway station of the southern Swedish city Sölvesborg is a picturesque eye catcher, whose appearance has remained unchanged since the time of steam locomotives. The asymmetric facade with patterned red brick walls, the staircase turret, the great arch above the entrance and the dormer windows give the building a romantic flair and evoke thoughts of the "good old days". Sölvesborgs Järnvägsstation was declared a architectural monument in 1986 and today it is also a stop for the Blekinge Kustbanan, the railroad line from Malmö to Karlskrona. 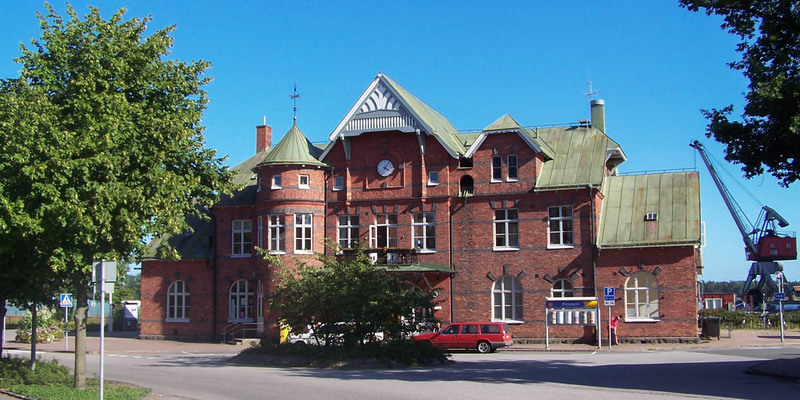 The station building was opened in 1899 and is a typical example of the architecture of architect Folke Zetterwall, former chief architect of the Swedish railway. 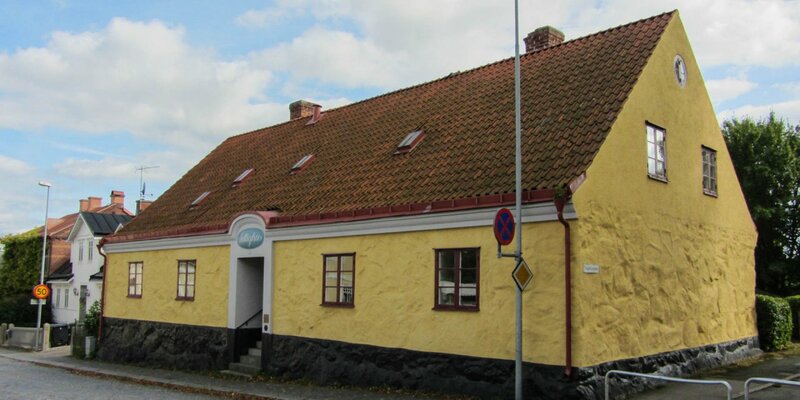 The special design of the entrance can be found in Sölvesborg again. 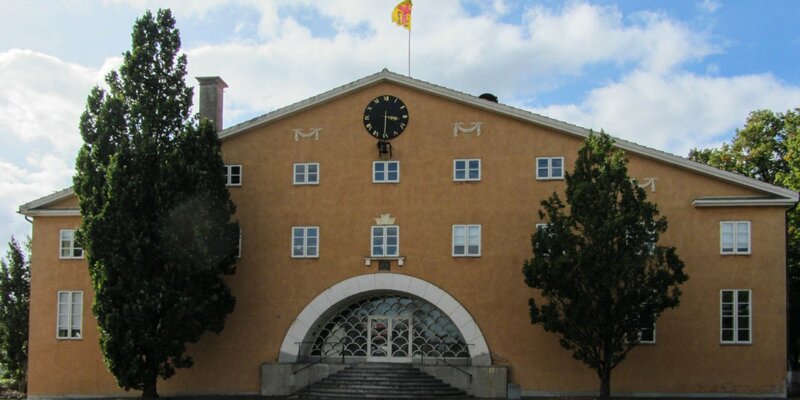 Erik Gunnar Asplund, the architect of the former courthouse Listers Härads Tingshus, which is located 400 meters to the west, was inspired by the entrance of the station twenty years later.